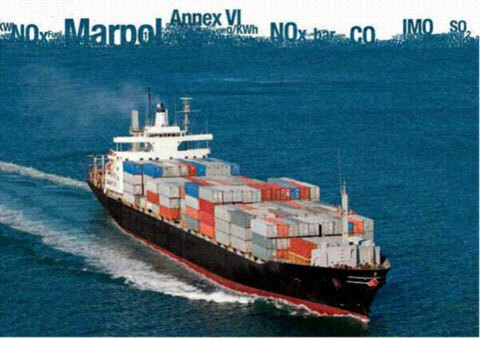 Marine NOx Emissions and Fuel Consumption Challenge - Website of marpol-annex-vi! The big challenge: Balancing NOx & CO2 emissions with fuel consumption and engine optimization. Rapid increases in the cost of fuel has pushed the subject of reduced operational costs and improved environmental performance at the top of every shipping company’s, major operator’s and Charterer's priorities. Throughout the marine sector, the focus is on energy consumption and efficiency, more than ever before. Proper operation of a diesel engine means the minimum specific fuel consumption at each load, increased service life of mechanical parts and increased power generation, which is very important. Furthermore, a properly adjusted and in good condition engine implies limited emissions of gaseous pollutants (NO, NO2, CO, CO2, etc.) that in turn ensures compliance with MARPOL ANNEX VI NOx Technical Code. The big challenge for all diesel engines, it is to have a fair balance between the environmental protection requirements and cost efective operation. It is therefore necessary to use whatever technological advantage is available. Reliable monitoring of all engine and environmental data relevant for a MARPOL-conformity NOx measurement (in g/kWh) was up to now almost impossible, or very complicated, and as a result very costly. But not anymore.The solution is available and with more features than you can imagine.